It seems that October is a busy month for the bathroom industry. The National Kitchen & Bath Association has declared it National Kitchen & Bath month. It's also National Toilet Tank Repair Month. 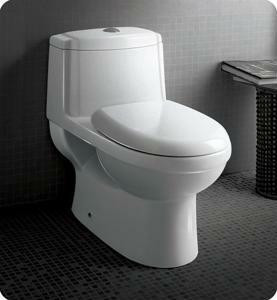 According to the U.S. Environmental Protection Agency (EPA), a leaky toilet can waste about 200 gallons of water a day. National Toilet Tank Repair Month serves to remind people that a toilet that is leaky can be wasteful as well as annoying. While most leaky toilets can be fixed rather easily, some plumbing experts recommend hiring a professional to assess the problem. "Loose levers, faulty flappers, flush valves, fill valves and valve seals are popular causes of water wasting which may raise your water and sewer bills," said plumbing expert Scott Mann. "Ensure the peak performance of your toilet with a simple tune-up, you will save water, money, lots of aggravation and probably sleep better at night knowing you implemented an intelligent economic plan." Those who want to ensure their toilet isn't leaking as well as make their toilet a more efficient commode may consider installing a new toilet. According to the EPA, replacing an older model with a WaterSense-certified toilet can save as much as 4,000 gallons of water each year. I've replaced mine last month for about $150.